Newsletter not displaying properly? Try this link instead. In this newsletter we focus on local enterprise - how to create jobs, support new businesses and develop the local economy in your area. Booking is now open for Spring Events 2016: your chance to meet other Big Local residents from across the country, swap ideas and share challenges. At each event you can choose from a wide range of workshops, including ones about local enterprise, so whatever you're interested in, you'll leave feeling energised and ready to continue your Big Local journey! Spring Events are free and they're happening in Sheffield, London, Newcastle, Manchester and Bristol during April and May. Visit our website for all the details. Below we share inspiring and achievable local enterprise stories from three Big Local areas. Discover how Goldthorpe Big Local have bought four houses to create jobs and affordable homes -as featured on the Guardian website. Find out how two Big Local areas in London are supporting entrepreneurs: one through offering a business start-up course and another through a community market. Want to see more local enterprise in your community? Don’t miss the chance to apply for free support to develop social enterprise in your area, and take a look at our upcoming learning event on how to develop a thriving high street. Get together, get inspired and get skilled up at Spring Events! To get a flavour of what it's all about, take a look at this video from last year's Spring Events. Call us on 020 3588 0565 or email us to book. UnLtd can focus their energy, resources and networks on developing local enterprise opportunities your Big Local partnership has identified. It's called Star People area support, and Big Local areas who have taken part in the past have set up workspaces for entrepreneurs and helped young people to generate social business ideas. The deadline for applications is Wednesday 23 March. Find out more and apply. Goldthorpe and Bolton-on-Dearne Big Local's housing project was featured in the Guardian last month. Read the article: 'Locals buy up empty houses to create homes and jobs' or read this blog where a resident explains the project in her own words. If you're interested in doing something similar, check out The Empty Homes Doctor session at our Sheffield Spring Event. Local economy and enterprise event. This event is a visit to the thriving London Road area of Brighton with its acclaimed Open Market. 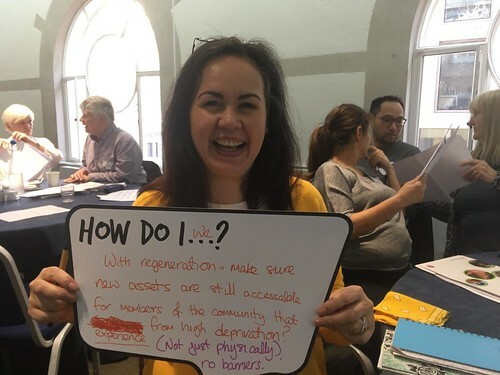 Participants will be able to learn at first hand from local stakeholders, businesses, artists and residents what is working and what isn’t to regenerate their area, and how they have started to overcome issues that may be similar to those on your high street. Friday 20 May, in Brighton. More details. Rachella Sinclair from Noel Park Big Local area felt strongly that her community deserved better than the value and chain shops of the local high road; that there should be opportunity for a local economy run by and for local people. 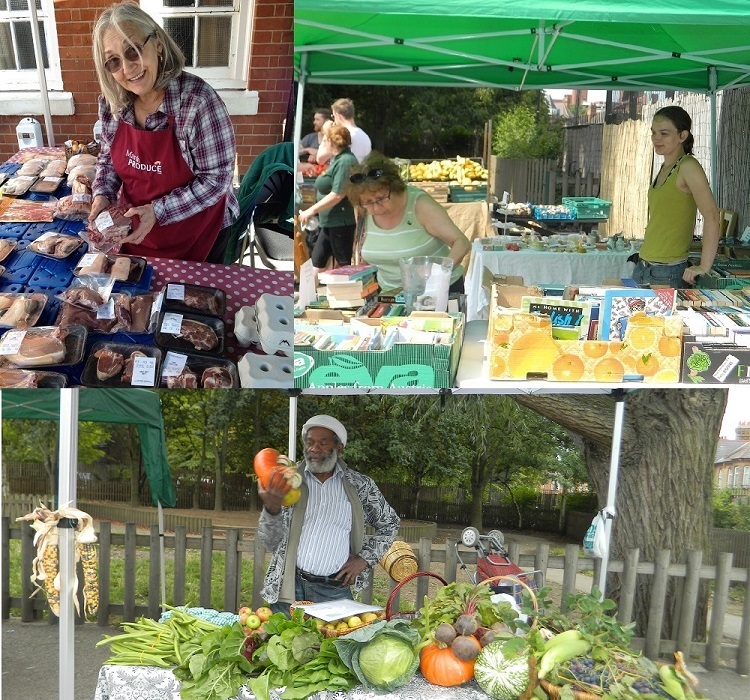 She started Noel Park Market in 2012 with a Star People award. Four years on, many of the people who have been involved in holding stalls or volunteering at the market have since gone on to create their own social ventures. Read more. Wormholt and White City Big Local have built on the wealth of talent and entrepreneurial spirit in their community by offering a course and mentoring that covers the nuts and bolts of business start-up. Read more. Presentation skills. Learn how to speak well in public and present yourself with confidence. Master how to take control of your nerves and use them to deliver a shining performance. Three day course: Friday 8 April to Sunday 10 April, in Barnsley. More details. Organising, chairing and facilitating meetings. Gain skills in writing agendas and minutes, and learn techniques to give you the confidence to deal with difficult behaviour that you may encounter within meetings. Thursday 10 March, in Bristol. More details. Leadership and team skills. Boost your performance as a team member and make the transition from working in a team to leading a team. This six day course is accredited through the Institute of Leadership and Management, leading to a Level 2 award. Starts Wednesday 13 April, in Barnsley.More details. Our new Facebook group is for people living and working in Big Local areas who are interested in research and for researchers interested in working with Big Local communities. We want this group to become a platform where Big Local residents can get in touch with researchers, and vice-versa, encouraging people to work together to research issues of interest to communities in a collaborative way. Visit the group on Facebook.